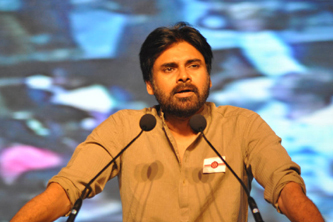 Pawan Kalyan is all set to campaign for TDP and BJP later this month across Telangana. Recently, he shared dais with Narendra Modi and Chandrababu Naidu at a public rally held in Hyderabad and yesterday, he met Chandrababu Naidu to discuss more about the future course of action. As per the latest information from Jana Sena Party’s office, Pawan Kalyan will go on a whirlwind tour across Telangana region from April 25th to April 28th where he’ll be campaigning for TDP and BJP candidates in various constituencies. He’ll be travelling in a special helicopter to cope up with the hectic schedule. Apart from several areas in Hyderabad and Secunderabad, Pawan Kalyan will be touring places like Kalwakurthy, Palakurty (Warangal), Sircilla, Ramagundam, Shadnagar, Yellareddy, Kamareddy, Husunabad among other places.